We love to hear from our alumni. Please let us know what you are up to. 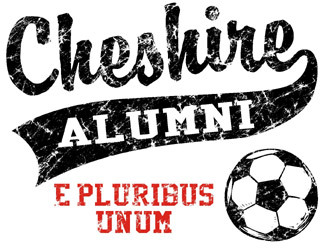 Nick Mongillo and Artur Branco organize a yearly alumni soccer tournament and gathering to benefit support the Cheshire High School Boys Soccer Brad Opheim Scholarship Fund. Where? CFC Arena (formerly Oakwood in Hamden - new fields have no boards). When? Thanksgiving Holiday Weekend (exact date/time TBD). Participation fees to be determined. There will be two high school teams invited to participate as "pre-alumni." Mark your calendars. Notify your fellow alumni. This upcoming season should really give us something to celebrate in late November!